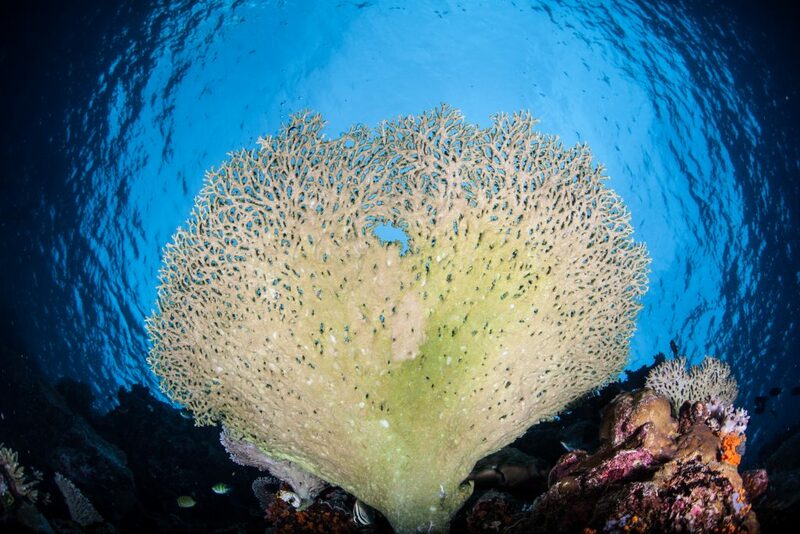 Discovering underwater Wakatobi is one of the best vacation destinations ever. Wakatobi is group name of 4 islands; they are WA (Wangi-Wangi), KA (Kaledupa), TO (Tomia), and BI (Binongko). The location of this place is in South East Sulawesi, Indonesia. There is also Marine National Park, one of the world’s largest coral reefs fulfilling with a huge wide range more than 850 coral types which had been known, 750 fish species, and more than 50 amazing dive spots. Those natural capitals make this island become the best place to do snorkeling and diving. There are so many spectacular underwater living species that you can find. Unfortunately, there are still some people who do not know about this fantastic destination place. However, it still becomes an underwater paradise for those who have ever come to this island. If you come to this place, make sure you have much free time since exploring Wakatobi needs more than a day to find a plenty of amazing things in it. If you cannot do diving, you do not worry since you still can enjoy this island. Though it will be not easy to travel to this island, but you will definitely worth it since you can enjoy the nature and love this incredible island. Discovering underwater Wakatobi Island is the right idea if you want to see by yourself a paradise in underwater. This ocean spanned for 2.200.000 square miles which encompasses Indonesia, Philippines, Solomon Island, and Papua New Guinea. This ocean has the highest biodiversity in its underwater. For photographers, this place is the best destination ever to take a lot of exquisite pictures of underwater living species. As a place where there are a lot of natural views which can be seen, there will be so many things that you can do in this Island. Exploring the Shore More. To get the best spot for diving, you do not need to always board the boat in the ocean. In some spots of the shore, there is the best to do diving and snorkeling. You will easily find reefs from the beach since there are reefs in the shore. Divers really know how to spend the days to discover the interesting nature wealth underwater. As people know, Wakatobi is an amazing place to do snorkeling. There are dozens of snorkeling sites that feature such corals almost in the surface. Snorkelers are available to join the activities with the divers in those sites. The divers and the snorkelers can be in a group and allow the children to do it with them in order to share the underwater experience. Boarding the Boat. There is a thing that you can do for discovering underwater Wakatobi Ocean without doing snorkeling or diving; it is by boarding a boat. By boarding the boat, you still can see the reefs and corals from the surface.